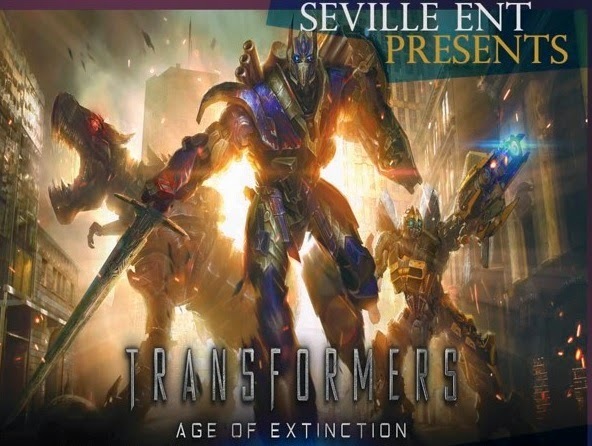 Seville Entertainment presents Transformers: Age of Extinction. It is time to see the new Transformers movie. Seville Entertainment has a great opportunity for you to see the movie before it's 9pm release tonight and help out a great cause. Part of the ticket proceeds go to the local schools in the area. Regular tickets are only $20, while reserved passes are $25. Also there will be a ton of special surprise guest, and over $5000 in prizes. This is the one event you dont want to miss.